Have you been in a car accident? Are you suffering from chronic pain because of your injury? You don’t need to suffer. Learn how chiropractic can help you recover from auto accident injuries. 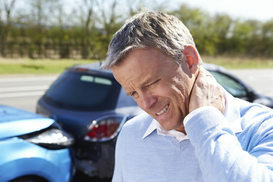 Auto accident injuries are a common source of chronic pain. Getting the proper treatment early after your car accident can be very important in recovering quickly. Most auto accident injury pain originates in the spine, and that's why chiropractic can be beneficial: we get to the underlying trauma that you experienced and help your body heal. If you've been in an Auto Accident and want Chiropractic Care, call us at Shine Chiropractic. Dr. B will make sure that you go thru a thorough evaluation and she will develop a special Chiropractic Care Plan for you in our Lewisville Chiropractic offices. There's no reason to continue to live with the pain and injuries that are associated with Auto Accidents, so call today to schedule an appointment!